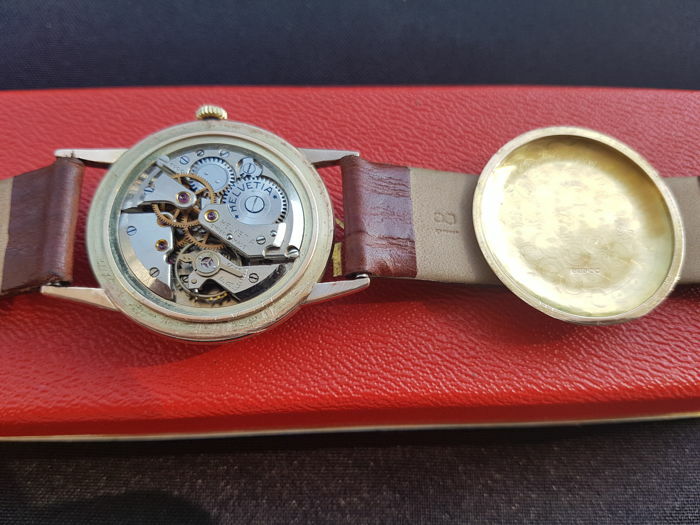 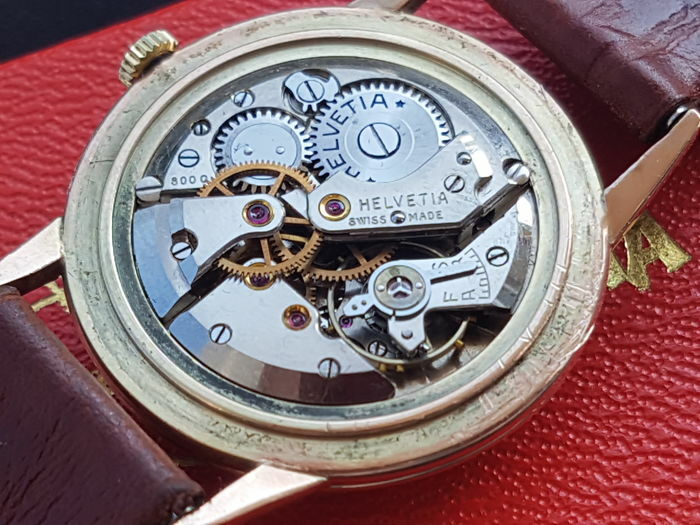 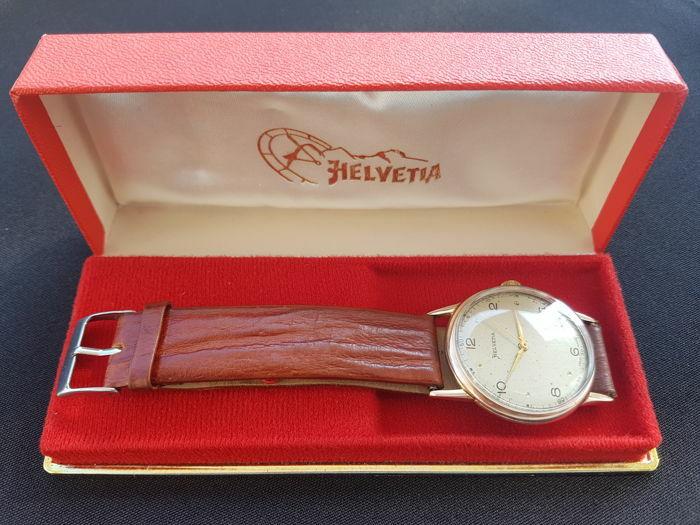 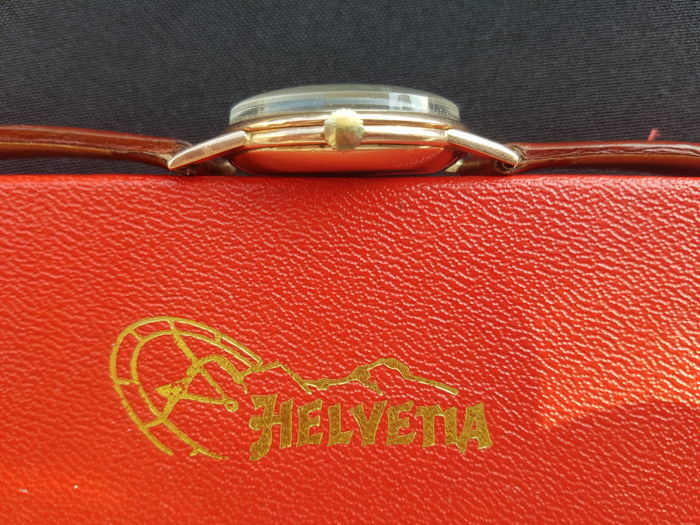 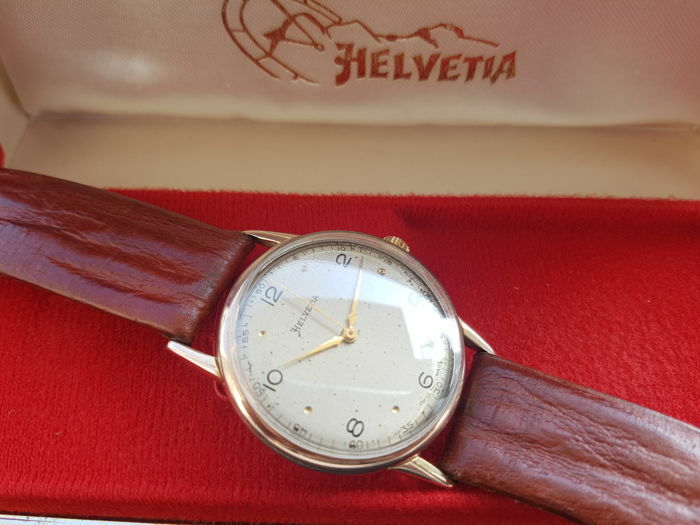 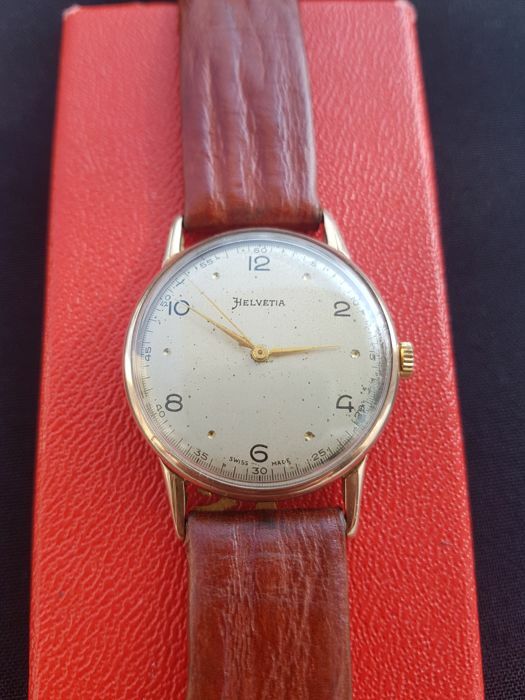 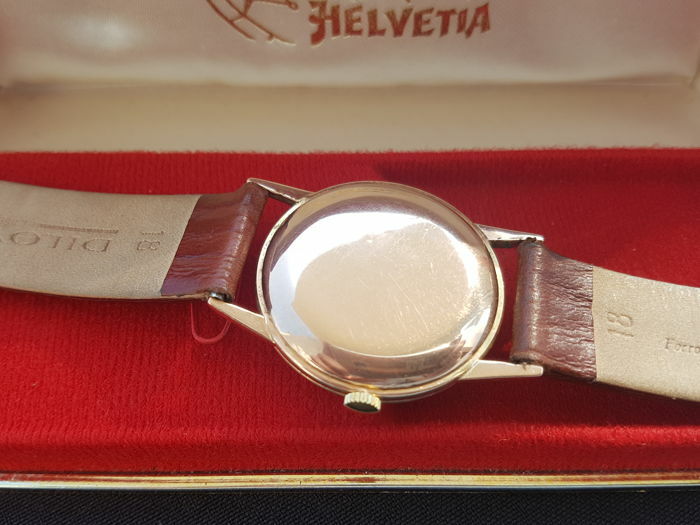 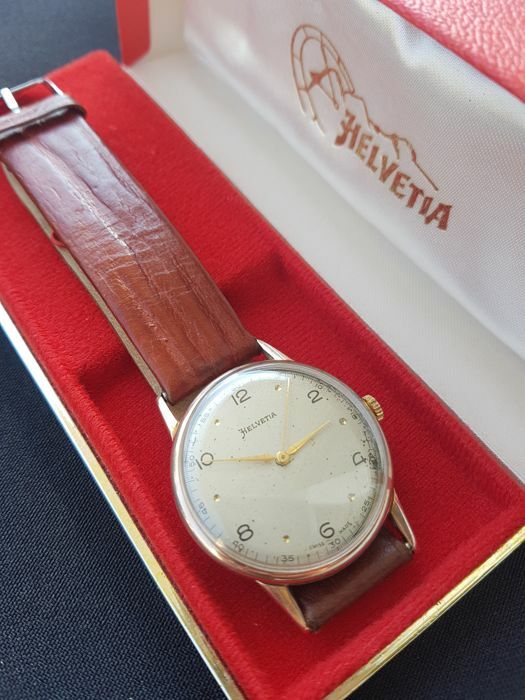 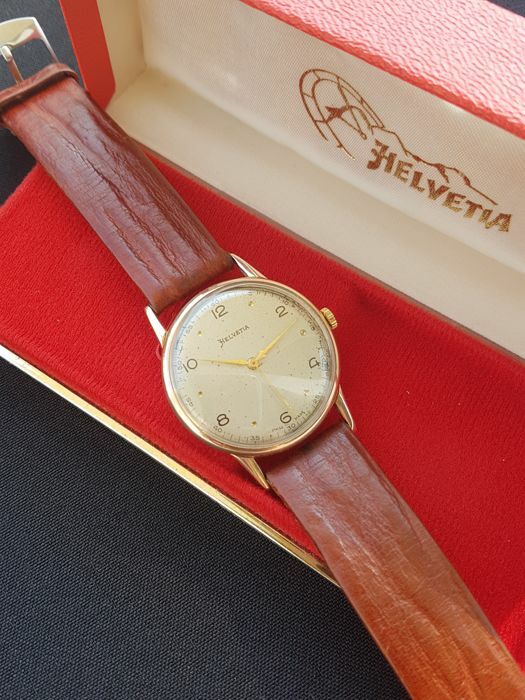 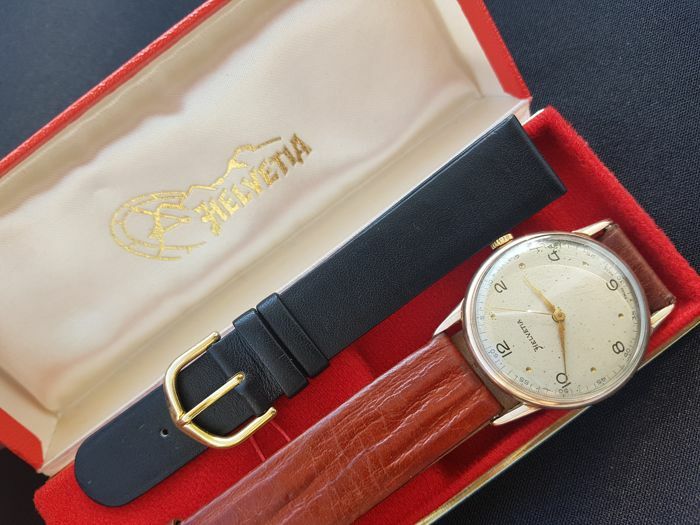 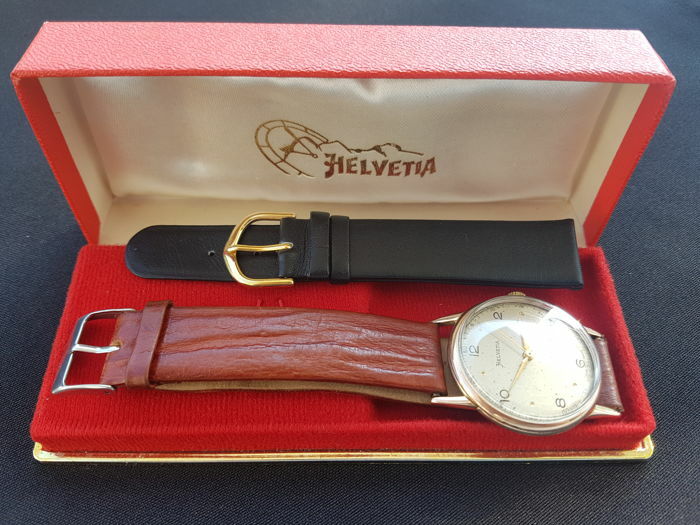 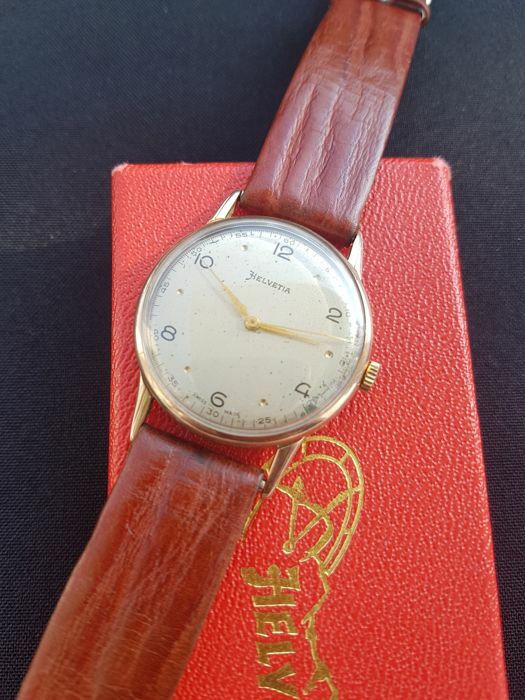 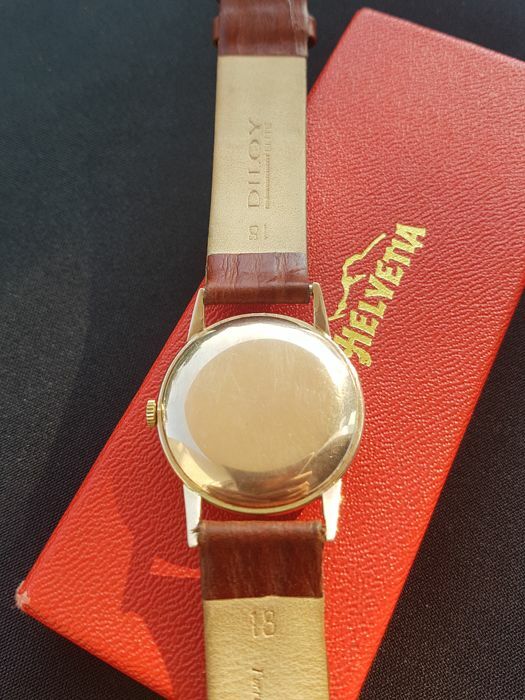 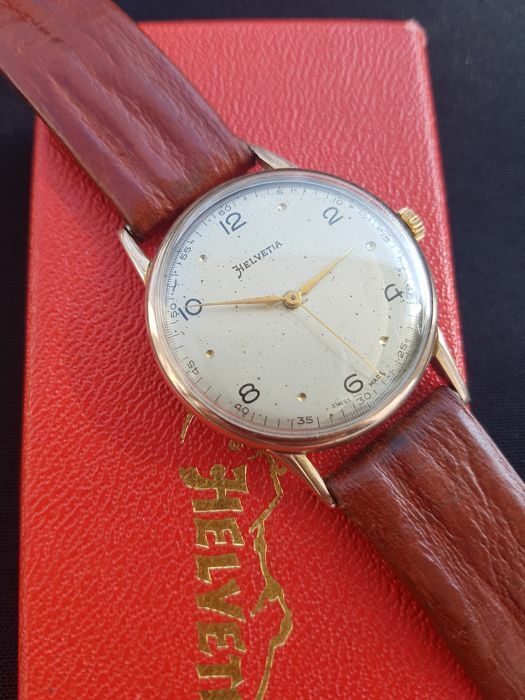 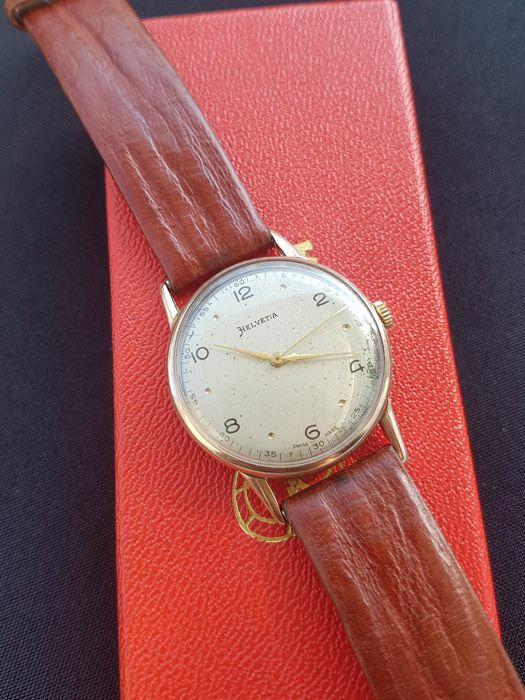 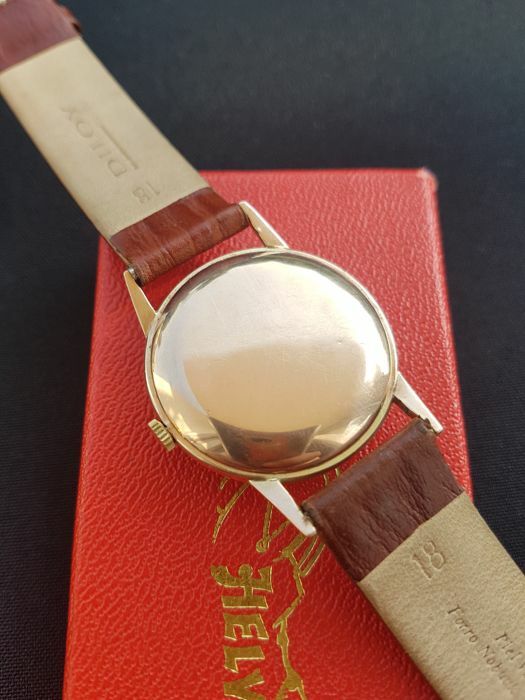 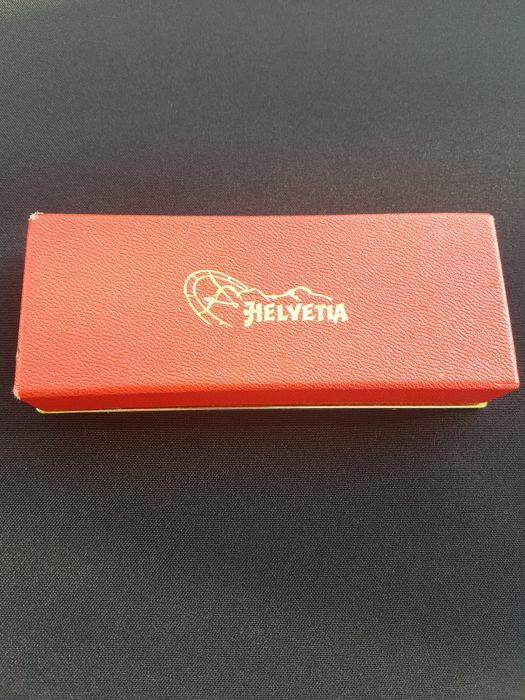 Here is for auction stunning Helvetia wristwatch from 1940/50's era, in solid rose gold case, with beautiful original dial and rare original Helvetia box. 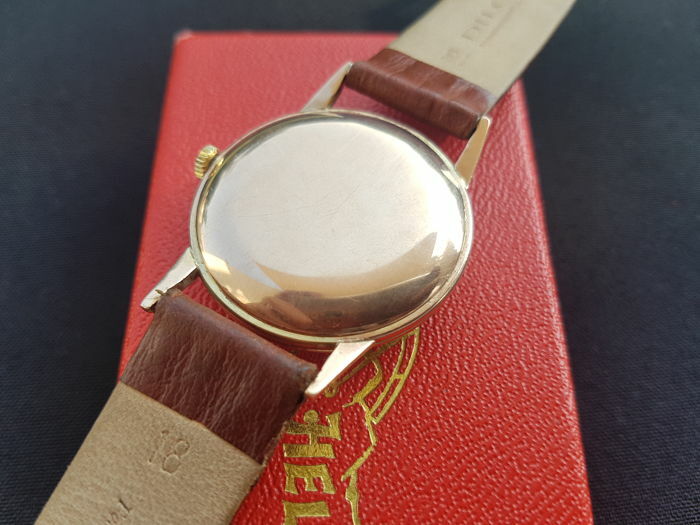 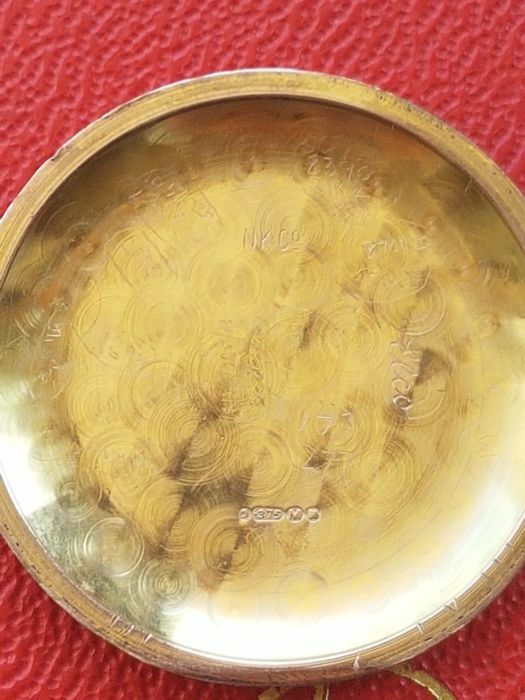 Massive and heavy gold case is in good original condition, never was polished, with thin bezel and diameter of 34mm and lug to lug width of 42mm the watch looks very good on a wrist, case back is in very good condition, hallmarked with 375/9K on the inner side. 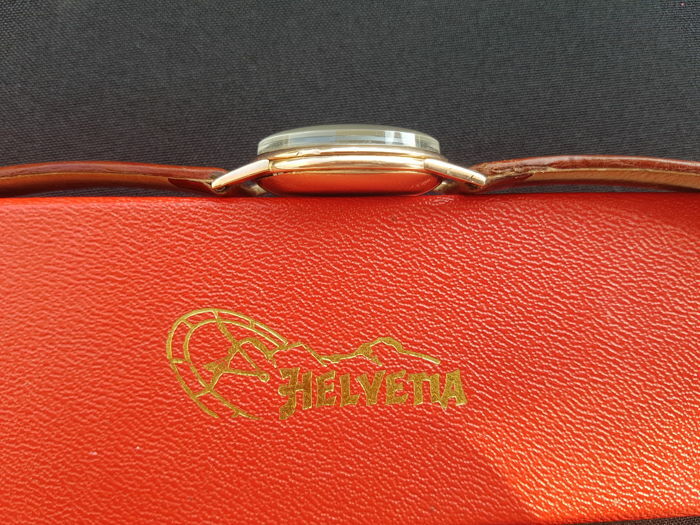 Case is without any metal parts, very heavy!! 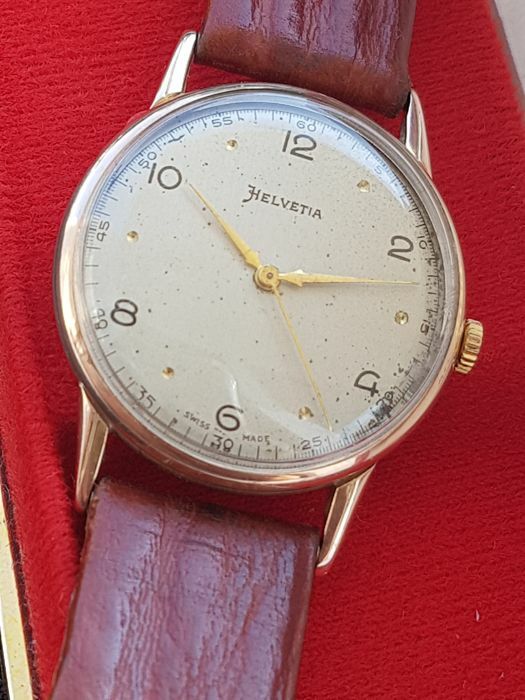 Beautiful original dial with arabic numerals is in original condition, never restored or repainted, shows natural patine, genuine golden hands, acrylic crystal is clear, crown is original, sharp and in good condition. 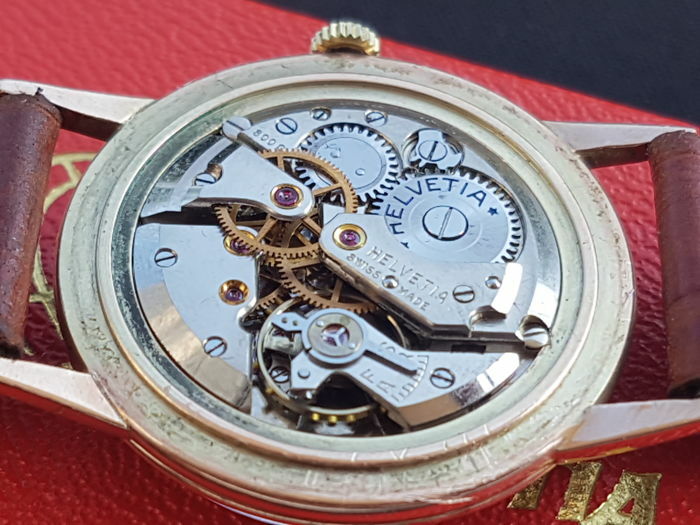 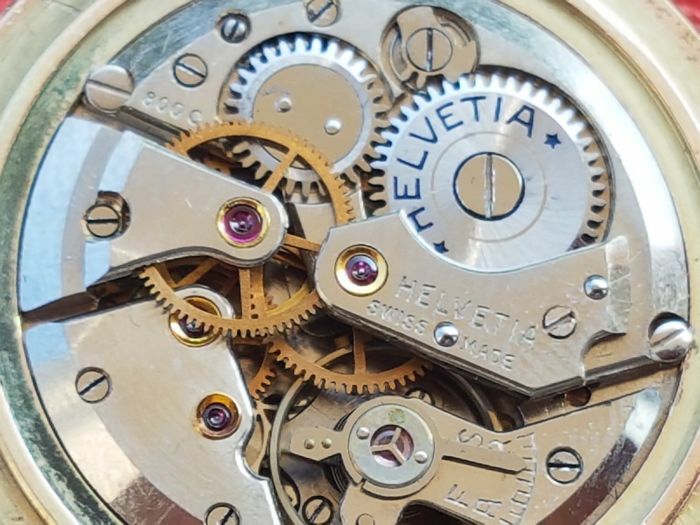 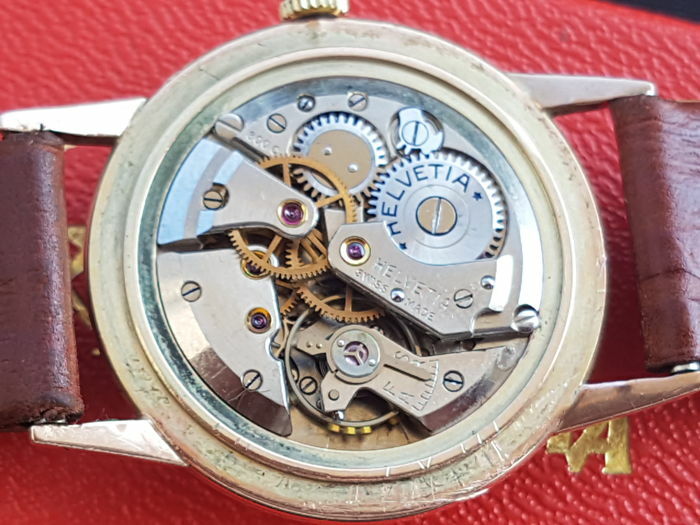 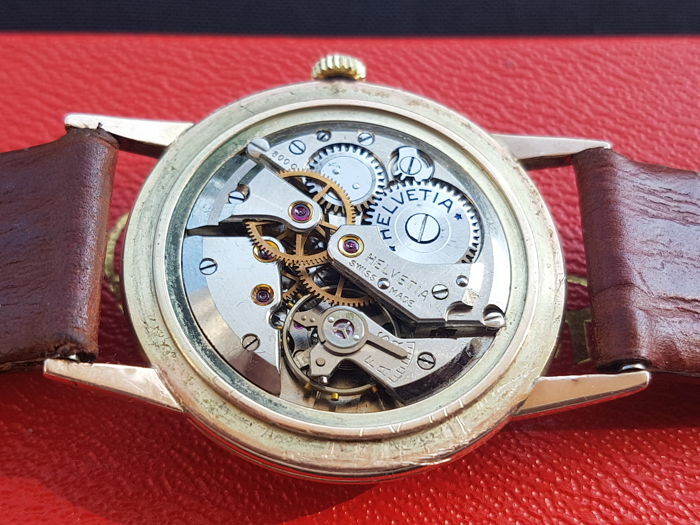 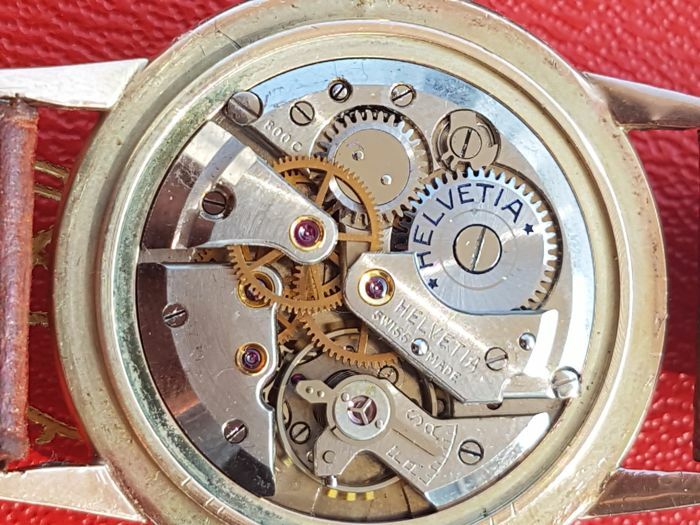 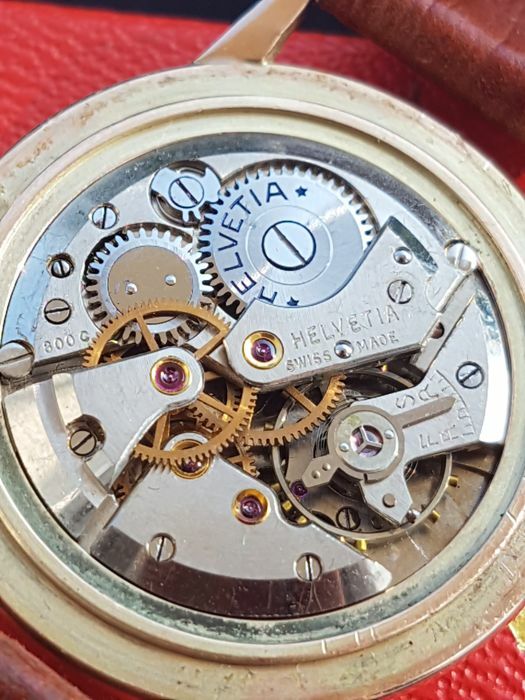 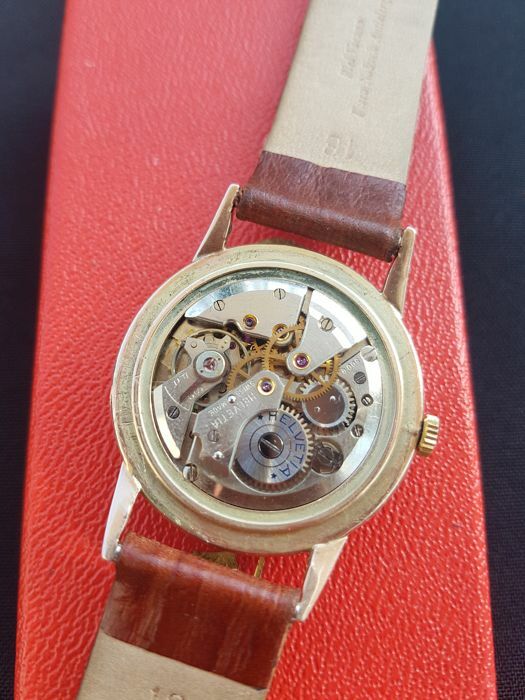 Movement of the watch high grade Helvetia cal.800C is in good condition, clean, running good and keeps accurate time very well for a vintage timepiece.